Notes: This is an active business. The grounds and décor are fabulous. magnificent Briar Rose bed and Breakfast. The building itself was built in 1887 as a vacation house. The current owners performed massive renovations from 2002 thru 2006 and turned it into a B+B. the doors officially opened on April 1st, 2006. While the owners were renovating the location some phenomenon would occur like the dryer starting and ceiling fans would changing speed, without anyone touching them. 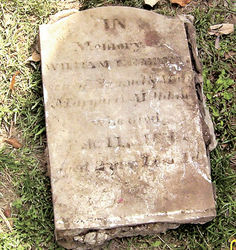 While adding an addition to the location, they also unearthed a tombstone from 1847 for a boy named William. Upon unearthing the tombstone a black cat appeared out of no where, hung out in the backyard for a few days and then was gone without a trace. The family had named him Frank. The oddness of the timing left question, was Frank a vestige of William ? A guest close to the owners had an experience where they felt someone crawl into bed with them, however they were alone. Other guests have reported strange sounds and objects mysteriously moved around. The guest register/comment book has reportedly the following entry made by a guest: "Had a bed-shaking experience. Ghost woke me up with alarm clock. Guess he wanted to play!" The Clearfield County Paranormal Investigators did a full investigation there and declared the location haunted. This group appears to no longer be active, so we could not contact them for any amplifying information. This is an active B+B in the normal realm as well. All the reviews that we came across were positive on the service and quality of the Inn. So if you happen to think about coming to the Lewistown Area to explore the Natural beauty or the Supernatural activity do a quick search for the Briar Rose B+B and book a few nights. If you come across any activity while you do so, let us know!